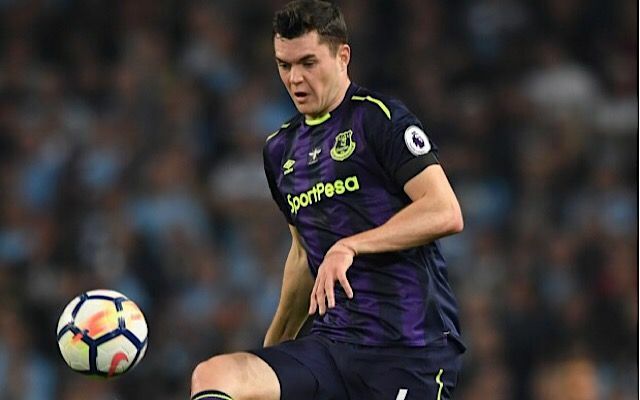 £30m Man Utd target Michael Keane has revealed how close he came to rejoining the club this summer. Keane rose to prominence after leaving Man Utd for Burnley, and his assured performances in defence led to an England call-up. As reported in Metro, Keane had the chance to rejoin Man Utd under Jose Mourinho before deciding to move to Everton in a £30m deal. Man Utd face Everton at Old Trafford tomorrow. “Everton is a big club and has got a great fanbase. And we are in Europe,” said Keane. Man Utd will have to do without Paul Pogba for several weeks after the midfielder suffered a hamstring injury during the 3-0 Champions League victory ofer Basel in midweek. Ander Herrera is expected to take the French midfielder’s place.